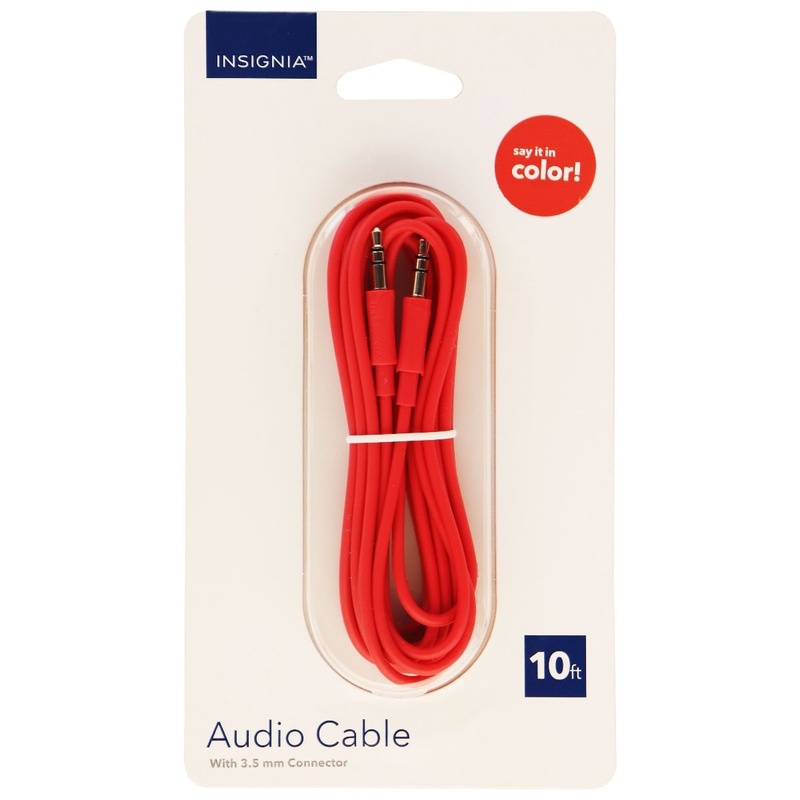 Insignia products, A Universal 10-Foot Audio Cable with 3.5mm Connectors. Pink color design. 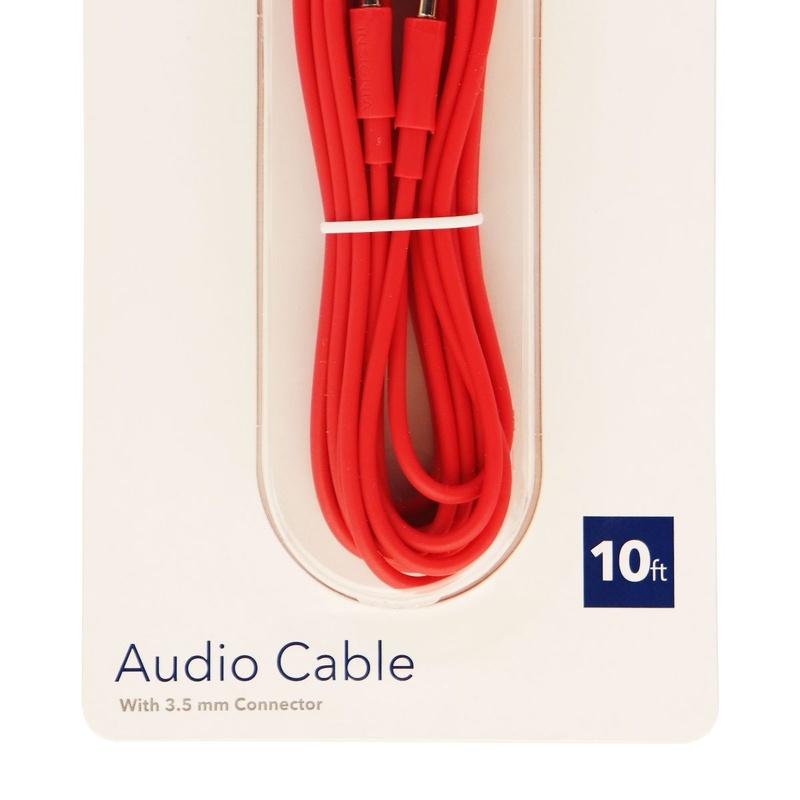 Small design fits almost all cases. 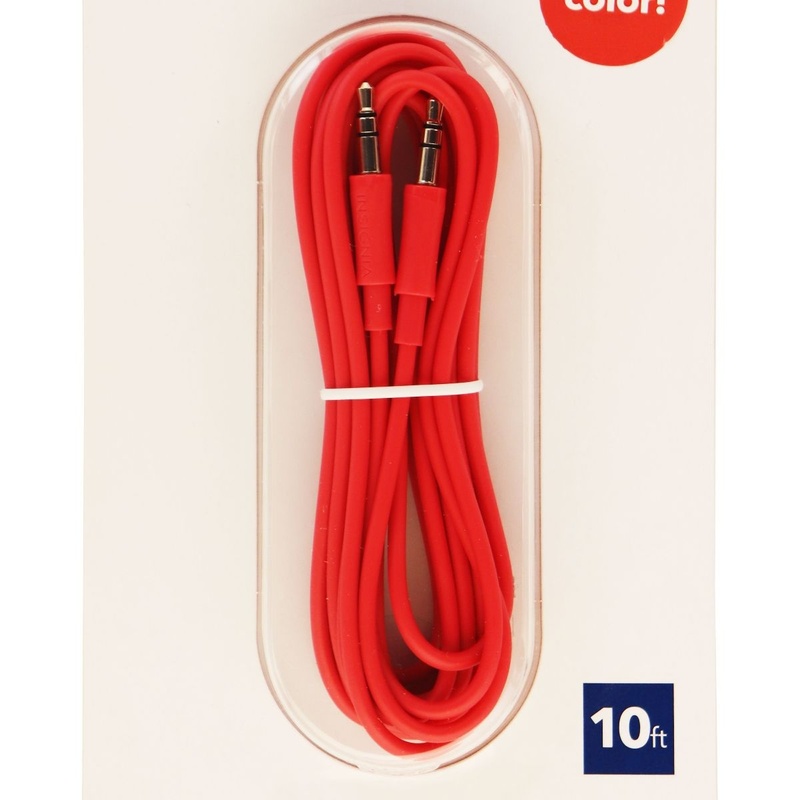 - 3.5mm cable connects to your phone, tablet, MP3 player, speakers, and more.